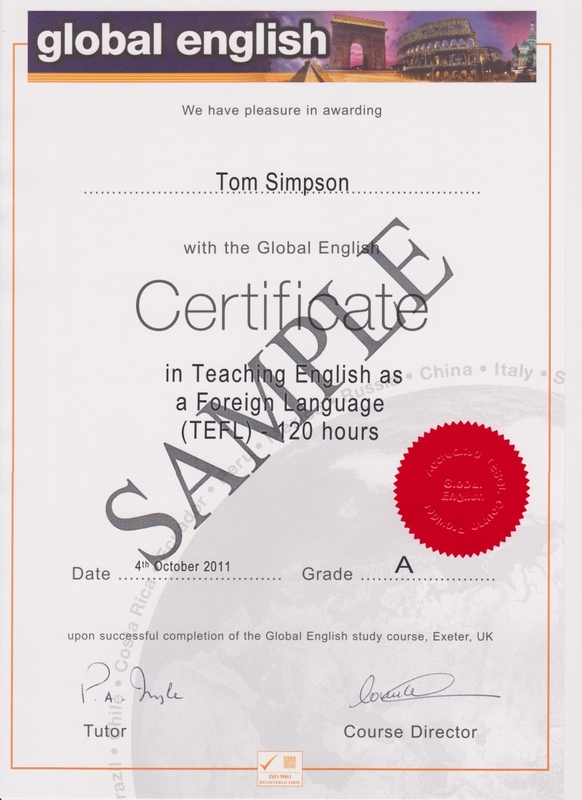 The standard TESOL course for English teachers looking to start their TESOL / TEFL career. Great value with fantastic resources and features. Train to teach with confidence with this fantastic course that will speed you into your new EFL career. This 120 hour qualification is great if you are looking to get trained quickly and are heading for Asia*, Latin American or Africa to teach English. Work at your pace through this continuous assessment programme and receive feedback as you go from an experienced course tutor. Access recorded teaching segments, podcasts and explore some of the top EFL material on the web today to keep you interested & motivated. Share learning experiences with others in our online TESOL forum, with ongoing assessment and no final exam. 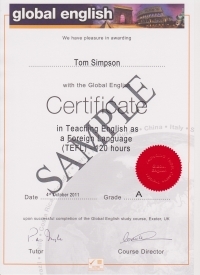 The TESOL Premier course is a shorter version of our 150 hour Premier Plus course. We haven't compromised on the quality but you can complete this course more quickly. Typically this course can take between 6-12 weeks to complete, but we go at your pace and allow up to 6 months for course completion for maximum flexibility. * Please note that we have specialist course options available for Korea and Hong Kong. This comprehensive course covers all the Level 3 material across 4 modules, using PDFs to present information, while trainees answer questions in a MS Word answer booklet. Once downloaded you will mainly work offline. This course covers all the Level 3 material in 34 shorter modules, using interactive HTML5 to present information, with trainees answering questions online. The material cannot be downloaded and worked on offline. A good internet connection is needed. "Now that I've had some time to go through your comments and suggestions on my 4th Module, I'd just like to say a big thank you for all of your help and support over the past few months. I'm delighted to have completed my course, and am looking forward to "pastures new" when I start teaching my first class next week. I can't thank you enough for your prompt answers to my queries, helpful suggestions and comments, and also your book recommendations. You have helped me to grow as a teacher, and I have some useful teaching resources for future use." "I found the course content very relevant and practical. It enabled me to build up a portfolio of lesson plans and activities. I was very impressed with how quickly marked papers were sent back to me." "This has been an excellent and convenient way of getting my teaching qualifications while being able to continue my other work." "Level 3 has been a great investment and my new Head wrote to congratulate me and has earmarked me for a pay rise in September. I loved the study booklets and the clear practical explanations and suggestions. I am due to teach at summer school again so there is a possibility of starting level 3 at the end of August." "Awesome experience! Efficient and professional! Great tutoring and service. William was friendly and super to work with .... I was apprehensive about who to choose, but Global English has been amazing ! Thank you." It is an enormous TESOL world for those with the skills, confidence and a solid Global English TESOL certificate behind them. There is a hard-copy option (PDF) available at the end of this interactive course. Click here for details.